Non-surgical gum disease treatment & preventive dentistry in Srping TX! If you've noticed that your gums bleed when you brush or floss or that they've shifted or are loose, you may have gum disease. Periodontal (gum) disease is the principle cause of lost teeth, far outstripping the losses attributed to simple decay. If you've been advised that you require gum surgery, you will be pleased to discover that it's also possible to control gum disease with a variety of non-surgical methods. 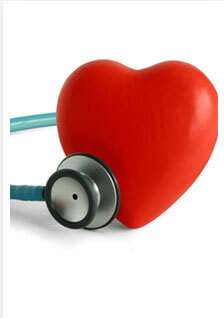 Medical research shows that gum disease, stroke, and heart disease are related. A threatening conclusion, since heart disease is routinely fatal, which means properly treating gum disease is imperative to maintaining your overall health. The American Dental Association estimates that 8 out of 10 Americans have periodontal (gum) disease. These rampant numbers should cause gum disease to be treated as an epidemic. But because tooth loss is not immediately life-threatening, the severity of the disease has been overlooked for far too long. However, those thought processes are changing. The American Academy of Periodontology reports that "Studies found periodontal infection may contribute to the development of heart disease, increase the risk of premature, underweight births, and pose a serious threat to people whose health is already compromised due to diabetes and respiratory diseases." In short, the bacteria that infect your gums can pass right into your bloodstream and straight to your vital organs. Most common dental insurance plans compensate for the treatment of gum disease. While in some advanced and severe cases, surgery is still the best course of action, there are now potent NON-surgical procedures that, combined with improved dental hygiene, can cut off the spread of the disease. What's So Bad About Losing a Tooth? No matter how you lose a tooth – gum disease, decay, accident or some other trauma, you should consider it a huge problem. Missing even one tooth will allow your other teeth to become displaced, altering your ability to chew and process nutrients from your food. You may undergo weight loss, your facial appearance may shrink, or your speech patterns may change. Need a replacement? Dental implants offer the optimal way to restore a missing tooth (or missing teeth). They appear so natural only your dentist will know they're not your originals. Have You Been Told You Need Gum Surgery? Our practice utilizes an established laser technology that in many cases makes traditional gum surgery unnecessary. This breakthrough treatment actually regenerates bone lost through years of untreated periodontal disease. In addition, our advanced laser system is nearly painless. The laser is safe, effective, and FDA approved. While the procedure is minimally invasive, the results have been staggering and might have been considered impossible not too long ago. We have successfully treated many cases of periodontal (gum) disease without gum surgery. Ask us if this treatment is right for you! We can help arrest your gum disease and bring your smile back to health. Give us a call today at (281) 376-1214. Monday 7 a.m. - 5 p.m.
Tuesday 7 a.m. - 6 p.m.
Wednesday 7 a.m. - 5 p.m.
Thursday 7 a.m. - 6 p.m.